Today's lesson is on compare and contrast and was used with a group of fifth graders. I began by reading aloud two books. The first book was The Three Little Pigs by Bernadette Watts. Most students were familiar with the story, but I wanted it to be really fresh in their minds for our compare and contrast activity. Then I read aloud a great book called The Three Little Tamales by Eric A. Kimmel. The students loved how this book had some Spanish mixed throughout. These two stories were just similar enough to be perfect for comparing and contrasting. 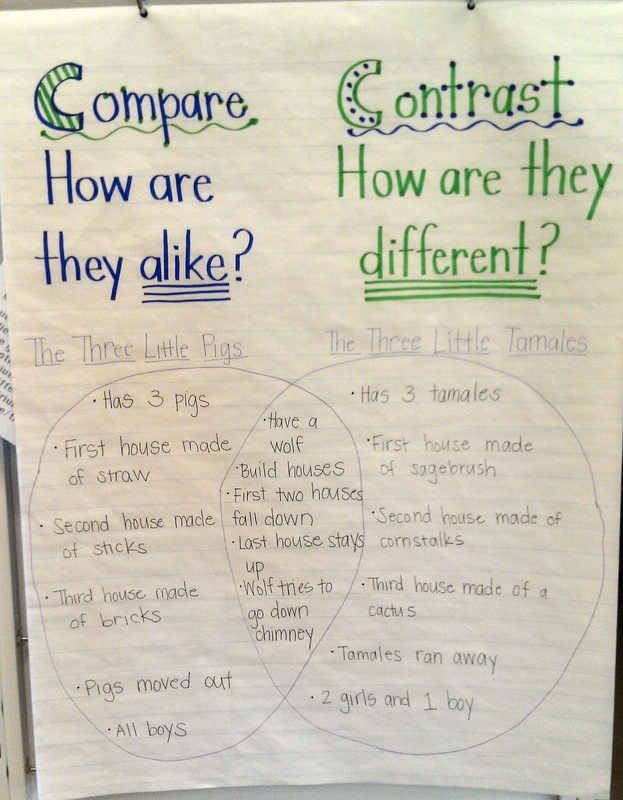 After I read the two books aloud, we created a venn diagram together as an anchor chart. Students had a copy of the anchor chart to fill out in their reader's notebooks as well. Next we moved on to the guided practice portion of the lesson. Students independently read the book National Geographic: Storms!. This book is about different types of severe storms. We picked two types of storms from the book to compare and contrast. 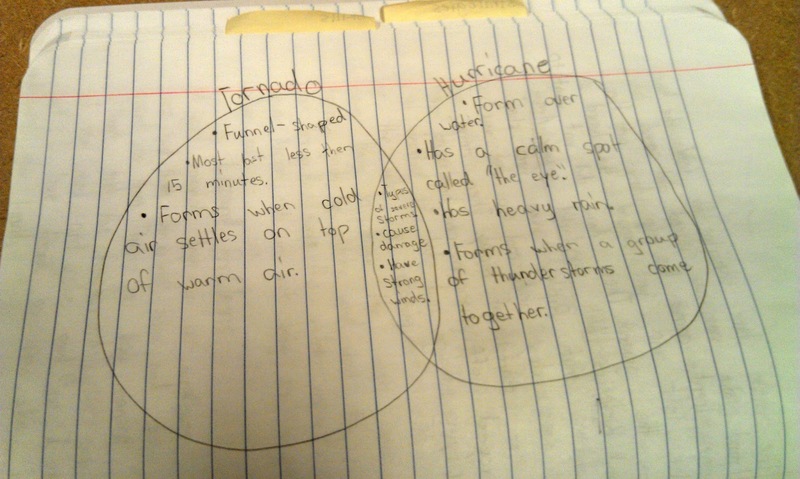 (Hurricanes and Tornadoes) Together we completed a venn diagram in students' reader's notebooks. 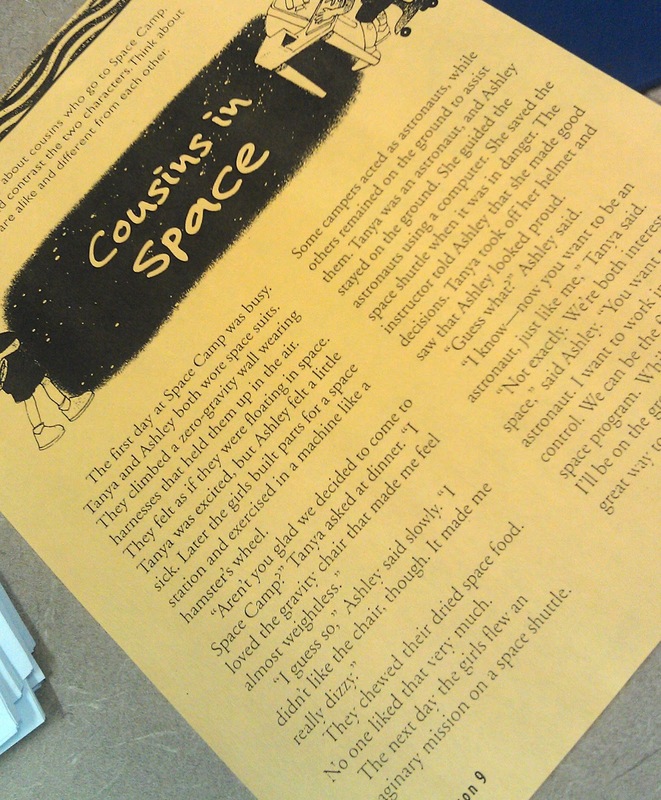 For the independent practice portion of the lesson, students independently read a short story about two girls that went to space camp. In this story, both girls enjoyed space camp, but one wants to become an astronaut and the other is more interested in mission control. 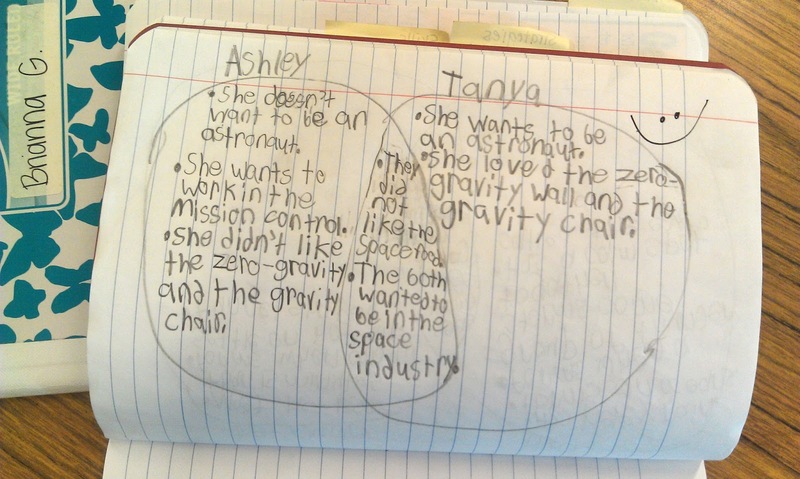 As an assessment, I had students independently complete a venn diagram in their reader's notebooks comparing and contrasting the two girls. Overall I was very pleased with the students' work. We still need to work on being very specific in our answers, but all the students hit on the major concepts of the story. This looks awesome Amy! I like how you presented the information. right on time...doing compare/contrast now. was wondering how to sequence the learning and present the guided practice. You always present your lesson procedures in such a user friendly way! Hi Patrice! For the guided practice, I had students read the book independently. Before reading, we previewed text features and vocabulary. 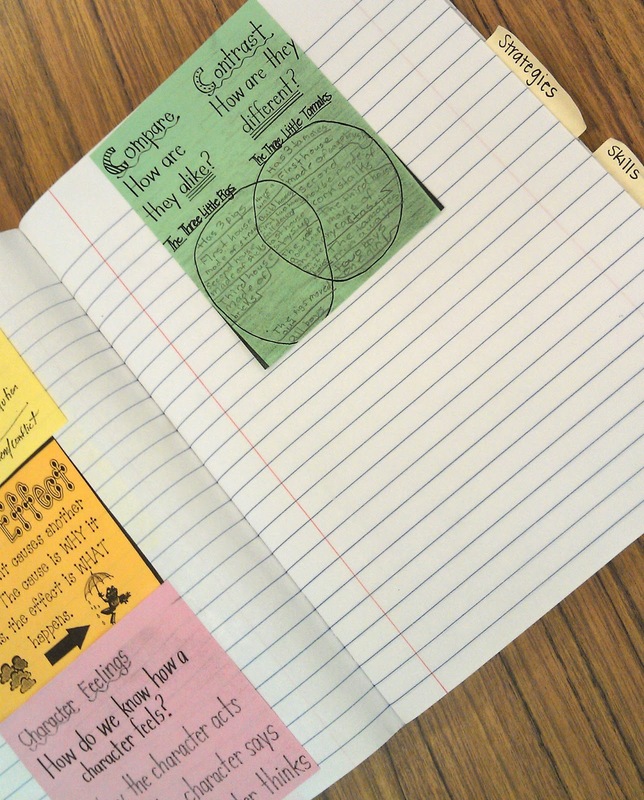 Once students finished reading, I created a Venn Diagram on the board, and students drew a Venn Diagram in their notebooks. I went through each section of the Venn Diagram and asked students to tell me how each storm was different and then how they were the same. I prompted students for the ideas they were not able to come up with. I wrote all the ideas given on the board, and students wrote them in their notebooks. Let me know if you any more questions!